There are two types of FMLA claims an employee may bring in court: one is for “interference” and the other is for “retaliation.” With an interference claim, the employee asserts that her employer denied or interfered with a substantive right under the FMLA.3 After FMLA leave is taken, “[a]n employee has the right . . . to be restored by the employer to the position of employment held by the employee when the leave commenced or to an equivalent position.”4 Interference claims are “strict liability” claims in that the claim does not require the employee to prove in court that the employer intended to deny an FMLA right. However, an employer may properly deny reinstatement if the employer can demonstrate that it would have discharged the employee had she not been on FMLA leave. With a retaliation claim, the employee contends that her employer discriminated against her because she engaged in “protected activity” under the FMLA. “[T]o succeed on a retaliation claim [under the FMLA], an employee must demonstrate that his employer intentionally discriminated against him in the form of an adverse employment action for having exercised an FMLA right.”5 The employee’s burden includes having to prove that the employer’s actions were motivated by an impermissible retaliatory or discriminatory animus.6 To do that, the employee generally most prove a “causal connection” between the adverse employment action and the taking of medical leave. For example, the temporal proximity (i.e. the closeness in time) of the adverse employment action and the leave can be one indicator of a causal relation between leave and the adverse employment event. Where an employee proves her claim under the FMLA, she can recover “back wages” (wages and benefits not received between the date of termination and the date of trial, less any wages earned at a new job), “liquidated damages” (an amount equal to the back wages), reinstatement or “front pay” (future lost wages), and the cost of litigation, including attorneys’ fees. 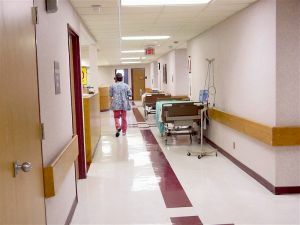 Because these damages can collectively be substantial, and are in addition to defense costs, the financial risks associated with FMLA noncompliance warrant particular care to ensure the FMLA is followed and properly documented. If you have questions about whether your practices and policies adhere to FMLA requirements, you should consult your attorney or a qualified consultant. 3 29 U.S.C. § 2615(a)(2). 4 Martin v. Brevard Cnty. Pub. Sch., 543 F.3d 1261, 1266-67 (11th Cir. 2008)(marks and cits omitted). 5 Strickland v. Water Works & Sewer Bd. Of City of Birmingham, 239 F.3d 1199, 1207 (11th Cir. 2001).